Impressive lighting performance and compact design combine effortlessly in this award-winning torch. 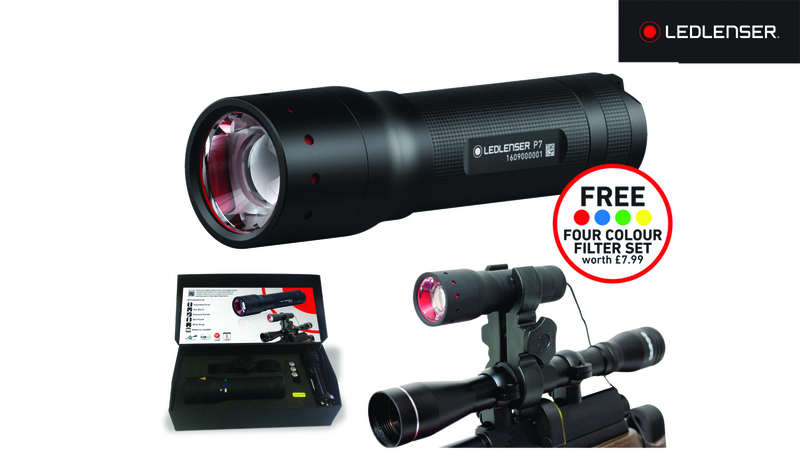 Patented Advanced Focus System optics ensure seamless spot or flood beam illumination. Gun Set includes P7 hand held torch, Gun Mount, Pressure Switch, Belt Pouch, Wrist Strap, 4x AAA batteries and a FREE Colour Filter Set.